Many people want to improve the appearance of their car. 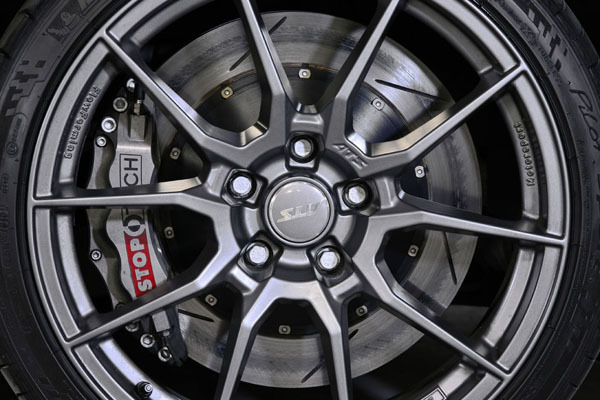 Replacing the OEM with aftermarket wheel rim or wheel racing into one step that most people do, or even mandatory if you want to view a different car. But unfortunately, many are still confused as to how the right steps in replacing or modifying the wheel rim. Modifications wheel rim can not be done haphazardly, there are important things that must be considered in order not to cause harm that would iste a lot of money. Here tips on how to modify the car wheel rim correctly. The most important thing that should always be considered is the size of the PCD of the wheel rim. PCD is the distance between the bolt holes in the rim. Cars manifold city car and small-size sedan, usually using PCD size of 100, while for larger vehicles use 114 upwards. Number of holes are different, there are 4, 5 or 6. Note the size of the diameter of the wheel rim. Some experts say that the owner can add up to 2 "of the OEM wheel size, eg, from R14 to 16, R15 so 17. Addition 2" is still possible because the tire will not be stuck to the fender when used, even in the modification adds 4 "is still very possible . For cars manifold City Car, the maximum size that can be tolerated is 17, for a premium sedan maximum of 18 "and for the SUV to 22". The addition of a larger diameter can still be done but requires you to fold or cut fender inside so that later no mentok when used driving. Notice about the materials used. Some premium aftermarket wheel rim using a mix of lightweight but strong metal. This is certainly affected the selling price. Wheel rim local use materials that are still relatively heavier but more affordable. Lighter wheel rim will certainly make traction or acceleration lighter anyway. The smaller offset, characterized by ET, it is getting wider wheel rim and when installed will be out from fender. If choose wheel rim with an offset that is too wide, then it can be disturbing because the car will hit the tire fender that can result in premature wear of tires, fenders dented and damaged parts of the legs. In addition, in some cars, the wheel rim are too wide to the bowl suspension, especially when turning. To overcome this, usually is used spacers or adapters, but this step is not recommended for the cars used for racing competitions. Consider the matter of comfort and safety. Using large wheel rim certainly looks cool, but it will interfere with comfort while driving. Wide wheel rim require tires that thin profile, thereby reducing the damping power, especially as it passes through the rocky roads or potholes. But, wheel rim and tires, a larger diameter also provides benefits primarily improve handling. This happens because the surface of the tire attached to the asphalt road or greater. If you want to buy a second-hand wheel rim, it helps to first check the condition of wheel rim and bolt holes. Do not buy wheel rim cracked or dented because it can be dangerous. Finger along the bolt hole of the rim, if they can feel the threaded bolt, then you could say the wheel rim are still good, but do not buy if the bolt holes are worn.